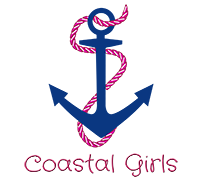 Company Name Coastal Girls Co. Description From basics to the little black dress, we have what you need to accommodate the Palm Beach lifestyle. Visit and experience the clothing, accessories, and gifts that resonate living life in paradise! The Coastal Girls Co., where you come as a guest and leave as a friend. Hours of Operation Monday - Saturday 10:00 AM to 5:00 PM, and by appointment.